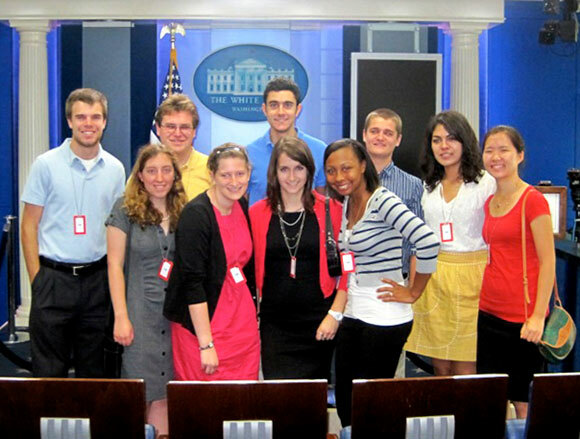 Notre Dame Washington Program students stand in the White House briefing room. Robert Costa ’08 had long been a political junkie, immersing himself in Meet the Press, Face the Nation, and other Sunday morning talk shows. Until his junior year at Notre Dame, those programs were as close as Costa could get to the action. But that fall, he went from watching the journalists he admired to working alongside them. 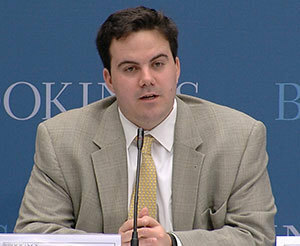 Robert Costa, speaking at an event at the Brookings Institution. Through the Washington Program, a semester-long immersion into national politics and policy, Costa interned for ABC’s This Week with George Stephanopoulos and assisted columnist and commentator George Will during coverage of the 2006 congressional elections. Started in 1998 and run by the Rooney Center for the Study of American Democracy, the Washington Program sends students to the nation’s capital for a semester of coursework and organized visits with policymakers, journalists, and leaders in a variety of governmental and non-governmental offices—including a number of Notre Dame alumni. Participants also complete internships at the White House, congressional offices, major media outlets, non-governmental organizations, and nonprofits. Tom Kellenberg, the Washington Program’s executive director, said it serves both an educational and experiential role in preparing students for professional work in and around politics when they graduate. Internships through the Washington Program do more than provide real-world workplace experience that looks good on a resume. They give Notre Dame students true insight into the careers they might one day seek out. By gaining access to the inner workings of the nation’s capital, they learn much more about life in policymaking than they get through the news or social media. For some, the experience leads to a job as a staffer or aide. For others, their return to Washington comes as an elected official. 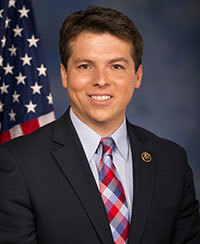 That was the case for U.S. Rep. Brendan Boyle ’99, a government major who took office in 2015 after serving six years in the Pennsylvania House of Representatives. 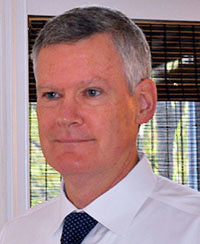 In 1998, during his internship with the Office of Congressional Affairs, in the Department of Health and Human Services, Boyle’s vision for his future evolved. The Washington Program offered his first professional experience outside of summer or campus jobs, and he learned much about the options available to him. 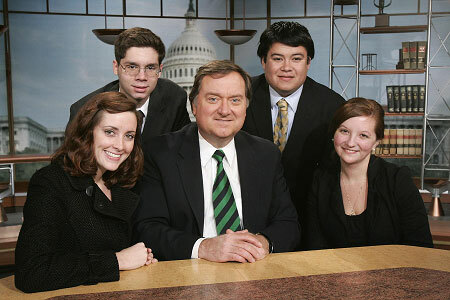 Washington Program students with Tim Russert, then the host of NBC’s Meet the Press. During their semester in D.C., students meet regularly with officials from all branches of government, learning about the various facets of the interconnected web of national politics. Students have heard from U.S. Chief Justice John Roberts and Supreme Court Justice Ruth Bader Ginsburg, several cabinet secretaries, and too many members of congress to count, though most of the meetings are with behind-the-scenes staffers, journalists, and professionals in a wide variety of organizations and businesses throughout the Beltway that give an in-depth look at the cogs that keep the system moving. Students also hear from Notre Dame alumni throughout the semester. 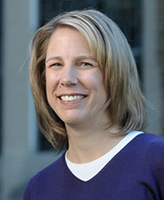 A separate D.C. mentoring program, offered through Notre Dame’s Career Center, pairs students with alumni who can answer questions and offer support both during the program and in the future. Those alumni also expand the networks of Washington Program students. Throughout the semester, participants meet countless people who can help them throughout their careers, particularly during the early stages, when connections can be key. Ali Nepola interned in the White House Office of Political Affairs during her Washington Program experience in 2008. Someone she worked with there helped her secure another internship at an education reform organization the next summer. Those experiences helped prepare her for her current job—as legislative correspondent in Senate Majority Leader Mitch McConnell’s office. 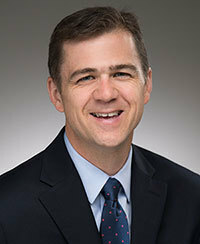 There’s no doubt students soak up knowledge and experience during their time in Washington, but Boyle believes the impact is a two-way street. Notre Dame students interested in participating in the Washington Program can contact Claudia Anewalt, program manager, at canewalt@nd.edu. Originally published by Brian Wallheimer at al.nd.edu on February 10, 2016.